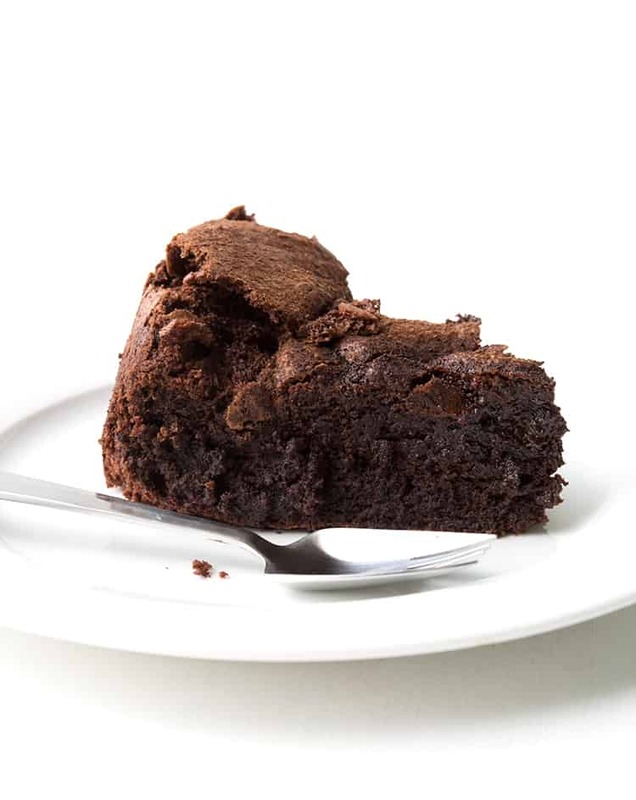 Looking for the perfect gluten free dessert? 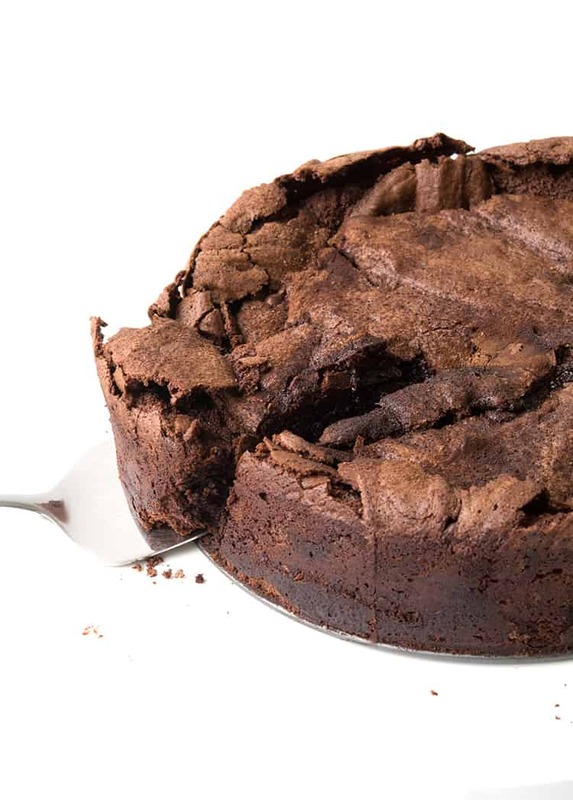 Try this amazing Flourless Chocolate Cake. 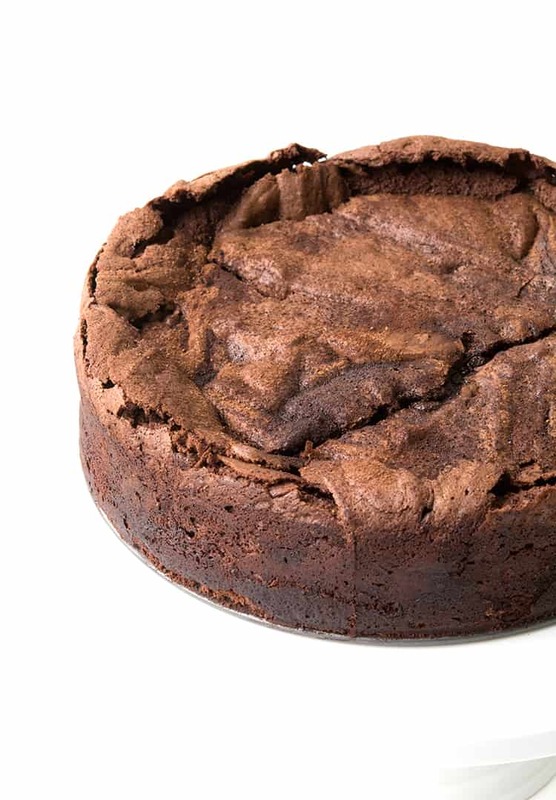 With a fudgy chocolate centre and a crisp meringue-like crust, it’s the ultimate treat for chocolate lovers. And I think you will too. 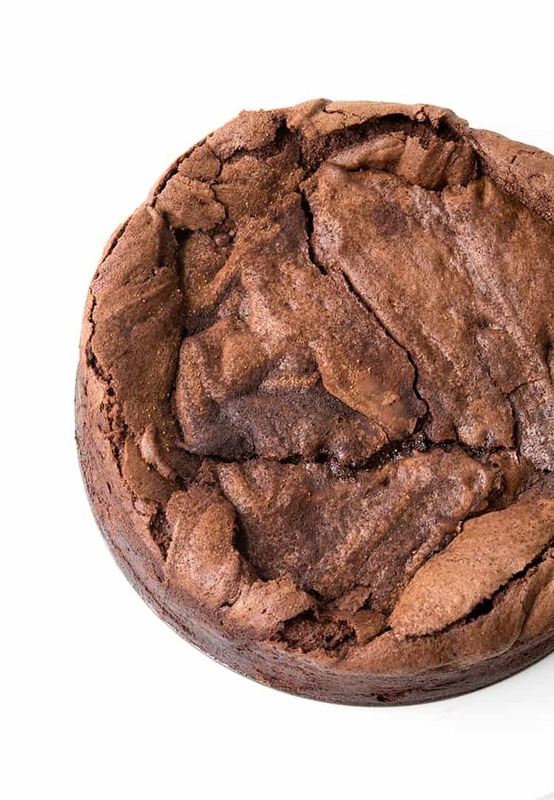 It’s everything I’ve always wanted a Flourless Chocolate Cake to be. It has that signature cracked top, chewy meringue-like edges, and best of all, a perfectly gooey centre. 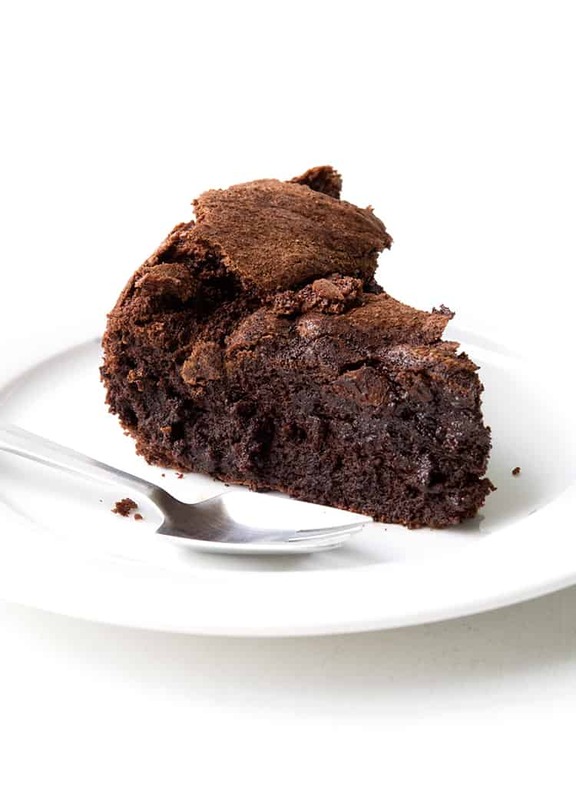 And you’re going to love just how easy this 5 Ingredient Flourless Chocolate Cake is to make. My house is in a shambles at the moment… because we’re flying to America this week! So it’s the best kind of shambles. The ‘oh my gosh, I need to get everything together and actually start packing’ kind of shambles. Before this 👆🏻 , I’d only ever had a perfect Flourless Chocolate Cake at fancy restaurants. It is always the dessert I order if it’s on the menu and I would relish every bite of that chocolate dream. So when I set out to make a decent one at home, I was worried how hard it would be to master that perfectly fudgy middle. But let me tell you what I told myself – you’ve got this! 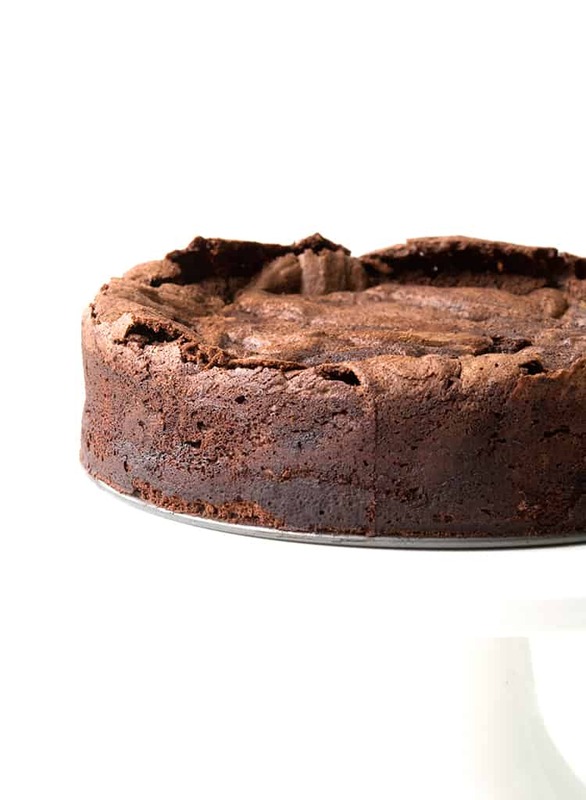 You can master the perfect Flourless Chocolate Cake. For this recipe, the most important technique is the eggs. More specifically the egg whites. To achieve that cracked top, meringue-like crusty edges and high sides, you need to beat those egg whites really, really well. I’m talking stiff peaks. There is no flour in the recipe, obviously, so the cake relies heavily on the whipped egg whites for structure. But let me tell you, once you try it, you’ll wonder why we ever put flour in our cakes in the first place. 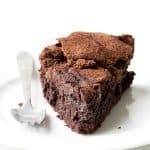 In addition to only being 5 ingredients, this cake is also a great gluten free option if you or someone you know is celiac. Just be sure to check that the chocolate you use is also gluten free. So friends, it’s time for me to say goodbye! I’ll be popping in occasionally over the next few weeks but things will be a little quieter around here. If you’d like to follow along our American adventure, please follow me on Instagram and check out my Insta stories. Add egg yolks to chocolate mixture and whisk to combine. Sift in cocoa powder and whisk until smooth. Add a pinch of salt if desired. Finally, add 1/4 of the meringue to the chocolate and gently fold using a rubber spatula. Then add remaining meringue and continue to fold until mixture is combined. Try not to over mix or you will lose all the air in the egg whites. Pour mixture into prepared pan, smooth top. Place in the oven for approximately 30-35 minutes or until cake no longer wobbles in the middle. Remove and place on a cooling rack, leaving in the tin to cool completely. It will sink slightly as it cools. Sift over a little extra cocoa powder. Cut cake into slices and serve with whipped cream or ice cream. *I used 150 grams of 45% dark chocolate and 150 grams of 70% dark chocolate. Hi! This looks amazing and am very excited to try this!! How long does this stay fresh for at room temp and in the fridge? Hi Emily, the cake keeps well in the fridge for 3-4 days. Absolutely delicious! Love the airiness yet rich chocolate flavor..
Hi Helene, due to its fragile nature, I wouldn’t recommend it. Just made this today. Easy and Delicious!!! It took about 50 minutes to bake in my oven (might need to get an oven thermometer and check that my temp is correct) but it came out perfectly. Can you subtitite margarine for butter? Hi Sara, I wouldn’t recommend it. Should I use dutch-process or regular Hersheys cocoa powder? Have you ever doubled the recipe? I’ve tried the 9 inch and I’ve made cupcakes out of the batter. This is my ultimate favorite recipe right now. Thank you! Thank you! I can’t wait to make it again this weekend. Hi there – how long does this cake keep fresh? Would it be ok to make the day before a celebration? In that case do we put the cake in the frigde or on the counter? Hi Ann, it’s up to you! Either would be fine. If you put it in the fridge, you just might want to bring it to room temperature before serving ☺️ Enjoy! This looks fabulous! 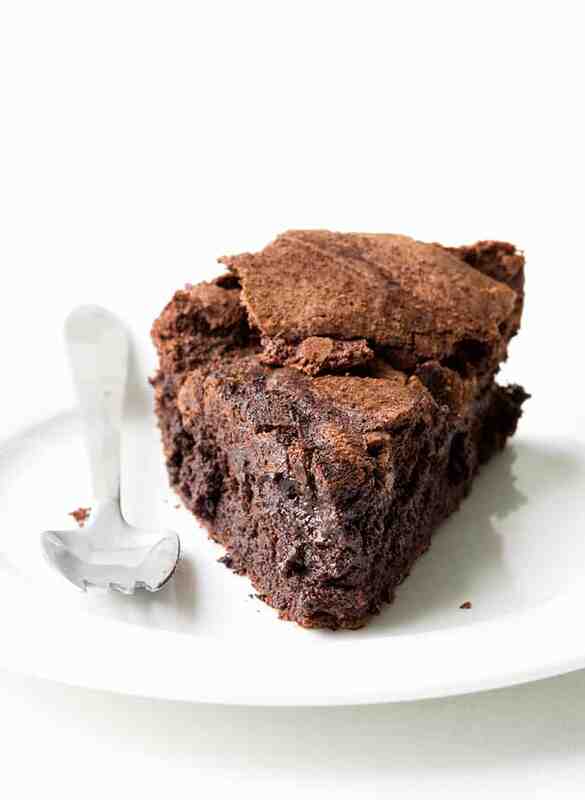 Do you have a favorite brand of chocolate and also cocoa powder for this recipe? Hi Nanci, thanks for your comment! I’m not sure where you live but for me in Australia, I use either Nestle or Cadbury cocoa powder and chocolate. I hope that helps! Do you have to use castor sugar? Hi Robin, you can substitute granulated sugar for caster sugar in this recipe. Hope that helps! D – A – N – G. This is a beauty. I only use pure stevia powder. It takes very little as it is not mixed with anything.. How could I adjust the recipe so that it would turn out ok using just 1/4 to 1/8 tsp stevia? Hi Lisa, I’m sorry but I haven’t made this recipe using stevia powder so I’m unsure how it would effect the results. Have you tried making it using stevia? I’D be interested in making it with stevia as well. Thanks!